So I have my BNIB watch cross posted on a few forums (insert shameless plug to the watch here). On one of the other forums that is 'owned' by a vendor the posting was temporarily pulled within minutes of posting, while the mod team was determining if the posting was appropriate since it was not a shaving related item... Mind you there were other watches posted and sold before and the rules have no reference to BST items having to be shaving related. All other rules were followed (eg not selling for a 'profit' which is a discussion in of itself and nether here nor there for the purpose of this discussion). I get a message the next day saying the item was 'approved' for posting. A full 12+ hours later and way past prime time....ok so no problem. I make a quick update to the effect that the posting is back with the idea that I wanted to bump the listing since now it's buried under newer bumped listings. Just to have my positing pulled with no explanation and my listing dropped down again. Insert rant about 'fairness' and how my listing is getting no eyeballs due to a unposted rule that was not applied to everyone evenly. Ok I'm off my soap box now. Thanks for reading my rant. Are you saying that you weren't allowed to post a BST post advertising your watch for sale? If that is true, then I don't quite understand and which forum was this on? I had thought that quite a few non-shaving items are permitted on the BST, especially watches as I have seen a fair amount of these being sold on a few forums. If I understood the OP's post, I think the complaint was leveled at the arbitrary nature of that forum's moderator/administrator decision making process rather than the fact that the listing was pulled for a period of time. I can understand his frustration. (05-19-2016, 10:58 PM)NeoXerxes Wrote: If I understood the OP's post, I think the complaint was leveled at the arbitrary nature of that forum's moderator/administrator decision making process rather than the fact that the listing was pulled for a period of time. I can understand his frustration. Yes this. And during the time of 'review' when my posting was pulled, there were a number of other posts. Seems as soon as the other postings hit a certain threshold (at which time my posting would be bumped to a lower page) my listing was 'reinstated'. When I went to 'bump' the listing so it can get back to the first page, my bump was summarily removed and my listing relegated back to a lower page. I don't mind the need to review and discuss amongst the moderators; that's how a forum grows and evolves. I do, however, take exception to the fact that I continue to be punished after the mods agreed that their initial pulling of my listing was in error and/or not in line with previous actions. Spencer, you haven't fulfilled my shameless request :-). (05-20-2016, 12:26 AM)hrfdez Wrote: Spencer, you haven't fulfilled my shameless request :-). Yep. I'd like to see it too. Not shameless in the least. Let's see it! I'd also say that you are free to post your horological BST here and wish you good luck with the sale. 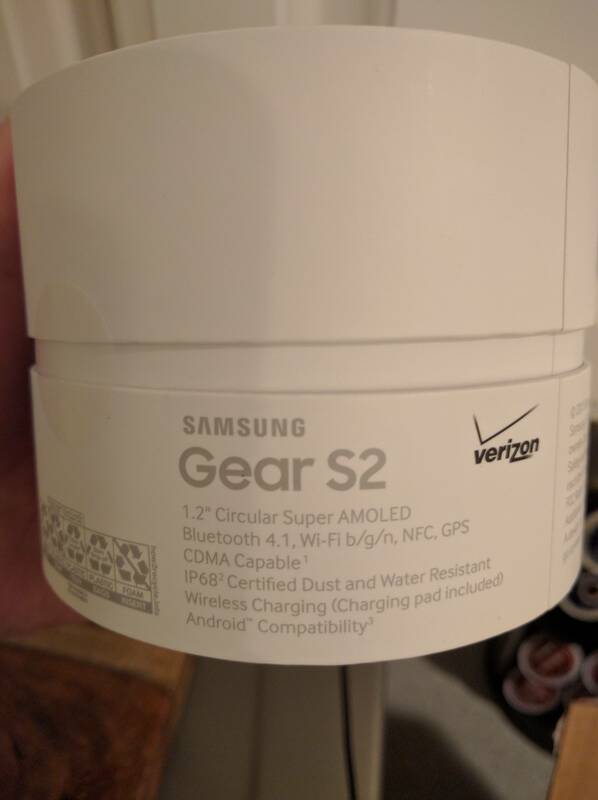 Oh nothing fancy guys, just a Samsung Gear s2 smart watch. It's new in box so I only have the picture of the seal. I saw that ad! Wow, but I am not surprised. A lot of strange things have been happening in that place. Obviously it was pulled because its Samsung and the Mods at that other site are Apple guys. I say this as an Apple guy myself and I would have pulled it too. OK, I'm kidding here but who knows what the mods motives are. I'm serious about being an Apple guy - I've been a shareholder ever since I bought a gen 1 iMac in 1998. Apple has been very, very good to me.